Losing weight and reducing body fat is hard, and there’s a billion dollar weight loss supplement industry to prove it. The truth is a lot of what’s out there is junk, just preying on the millions of desperate people who’ll try anything, and feel like they already have. But some fat burners work, and that’s why we do these reviews – to help you distinguish between the ones that work, and the ones that you should definitely steer clear of. LeanFire XT is part of the Force Factor line of products. Force Factor is a popular brand of nutritional supplements most notably sold at GNC. We’ve reviewed and tested several of their other products, including the original Force Factor, Test X180 Original, Ignite, and Alpha, as well as Force Factor Volcano. They’re not at the very top of my list, but they’re not too far down either. And if you like picking your supplements up at an actual store, the brand can be a smart choice. 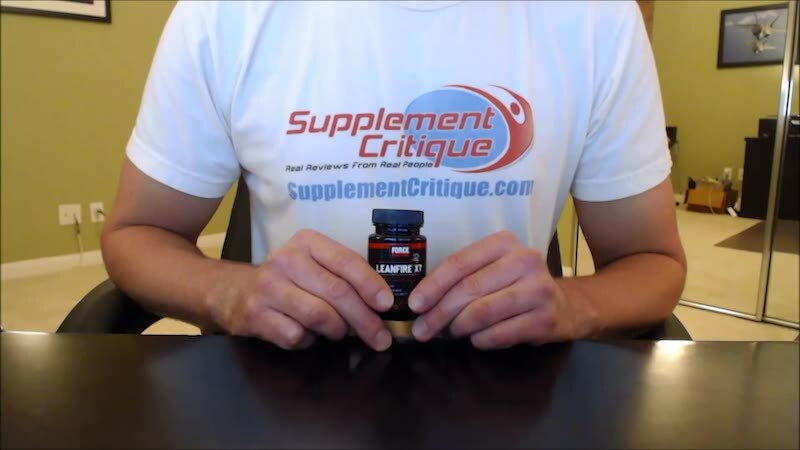 LeanFire XT is a dedicated fat burning formula, so let’s break it down, see what’s in it, and find out if it’s capable of helping you get in shape. Because losing weight and getting in shape can be so difficult for a lot of people, you have to look for the right set of benefits to ensure success. It’s not enough that a supplement contains caffeine. It definitely helps – by suppressing appetite, burning fat, and increasing energy – but you need more. A successful product will go beyond that with a list of ingredients providing a range of benefits. That’s why LeanFire XT promises to add a “mind component” to the body component, improving focus, clarity, and mood, so you’re set up for success mentally and not just physically. With LeanFire XT, the energy focus is on smooth energy, not the jittery kind that inevitably leads to a crash. This is what Force Factor is calling the concept of “thermovigilance,” and we’ll talk more about in a bit. It’s this mind/muscle connection that LeanFire XT considers its strong point. Force Factor knows that the best fat burners contain stimulants, but they believe most of them rely too heavily on them to the exclusion of other important factors. The truth is, when you go too heavy on the stimulants, you end up jittery and unfocused. LeanFire XT addresses this by balancing the stimulants with other ingredients, particularly those designed to improve focus and concentration. There’s another problem with focusing too much on stimulants. Using high doses regularly can create a tolerance in your body. Once this happens, you need to continually increase the amount of stimulants you use in order to achieve your desired effect. In the end, this is just unsustainable. So LeanFire XT professes to take a different approach called Thermovigilance. What it basically means is that it uses energy producing, fat burning stimulants in correct doses, combines them with nootropic ingredients to bolster focus and clarity, and smooths it all out with a powerful amino acid that counterbalances the negative effects that often accompany stimulant ingredients. Let’s break it down even more next. As a fat burner, the LeanFire XT formula is no stranger to stimulants. The proprietary formula contains three blends for a total of 721mg, with each blend containing stimulants. Green Tea Leaf Extract for its ECGCs which are the catechins in green tea that rev up the metabolism so your body uses more calories. Green Tea is popular in weight loss supplements, although it’s usefulness as a weight loss aid certainly has it’s skeptics. Not only does it contain fat burning ECGCs,but it’s loaded with antioxidants and contains a small amount of caffeine as well. L-Carnitine, an amino acid that converts long chain fatty acids to energy. Cayenne Pepper Fruit Extract which boosts body heat and metabolism, and has been proven in studies in mice. Bioperine, a black pepper extract that increases the bio-availability of the rest of the formula. Bioperine can be found in numerous other over the counter products, including Vigrx Plus. L-Theanine which counteracts the negative effects of caffeine and other stimulants without negating their value. About the amount of 2 cups of coffee, enough to get you alert and focused. Caffeine is the most widely used ingredient in fat burning and weight loss supplements. TeaCrine brand Theacrine which is similar to caffeine in that it’s found in tea and coffee and used to boost energy and focus. Advantra Z Bitter Orange Extract which has been known as the ephedra alternative since ephedra was banned. It may boost metabolism, but the evidence for both its safety and effectiveness is minimal to non-existent. Yohimbine Hcl which is a central nervous system stimulant commonly used in both weight loss and erectile dysfunction supplements, including Vydox and Libido Max. It can increase blood flow by opening up blood vessels, as well as provide energy and suppress appetite. Even though LeanFire XT plays down the factor stimulants play in the formula as opposed to cognitive enhancers, this stuff is actually pretty stimulant-heavy, so we shouldn’t be so quick to embrace it as utterly safe. In fact, a couple of the stimulant ingredients in LeanFire XT ar possible causes for concern. Bitter Orange (aka Citrus Aurantium, aka Synephrine) came out like gangbusters when Ephedra got banned. It was praised as “just like Ephedra, only safe”. But that’s not necessarily turning out to be true. There is plenty of concern about the safety of Bitter Orange, especially when used in conjunction with other stimulants such as caffeine, which is the case with LeanFire XT. Combining the two could lead to such serious issues as high blood pressure, heart attack, fainting, or stroke. More mild side effects include headaches and increased sensitivity to the sun. Yohimbine HCL has similar side effects concerns, though possibly more severe. There have been reports of effects including rapid heart beat, seizures, heart attack, kidney failure, and dangerous drops in blood pressure. Several countries have banned it altogether. The LeanFire XT label warns that you should not take it for more than 8 weeks without taking time off. It also warns that you shouldn’t use other sources of caffeine or bitter orange while you’re using LeanFire XT, recognizing that the stimulant content may be problematic, at least for some users. Because of the heavy stimulant content, it’s recommended that you start off taking just one capsule on an empty stomach about half an hour before a meal or workout. If you tolerate it well, you can add an additional serving before another meal throughout the day. If you find it upsets your stomach, the recommendation is that you take it with a small amount of food as a buffer. Getting motivated to ACTUALLY doing your workout. Details on effective cardio routines, including intensity, duration, and frequency. 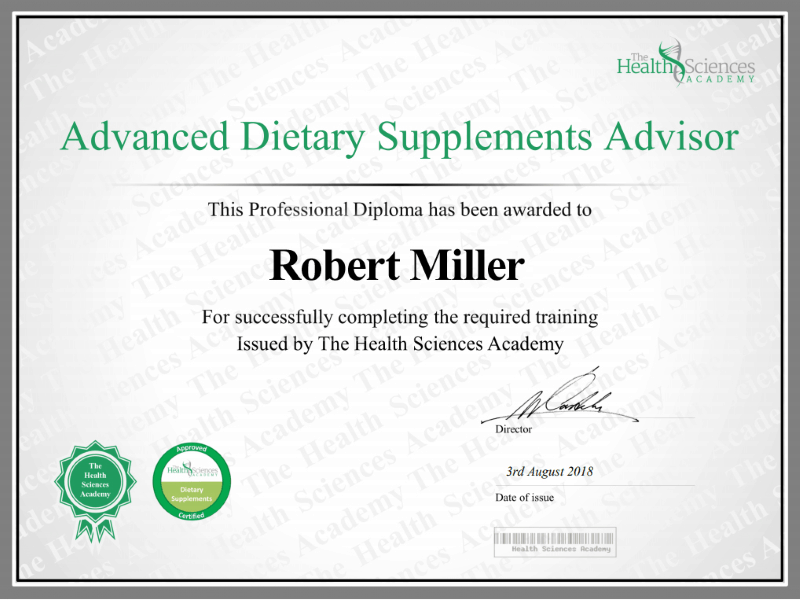 Nutrition – This one is key. Through this section, they detail what carbohydrates, Fiber, Protein, and dietary fats are, as well as provide tips on cheat meals and tracking your nutrition. Strength Training and Weight Lifting – What to do and when to do it. The importance of supplements in all facets of your daily workout routines. It then gets into the meat and potatoes by providing an easy to print chart to track your progress on a weekly basis. And divides up your workouts into 2 different sessions, Workout A and Workout B. They also provide instructions on how to perform each exercise, with details on the starting position and the movement itself. The cookbook itself has like 100 different recipes that cover everything from soup dishes to chicken dishes. For example, one detailed recipe is on Grilled Jerk chicken, which happens to be one of my personal favorites. There are tons more recipes you can choose from, and they cover everything from breakfast, lunch, and dinner. I ordered a free trial bottle of LeanFire XT about a month ago and finally got a chance to test it out. I really only have a few pounds to shave off, but it’s the type of weight that proves to be VERY stubborn at coming off. It’s the kind where you push hard in your workouts, live on grilled chicken and rice, and STILL can’t seem to get the weight off. The very stubborn kind of belly fat most guys deal with. Did it help me realize that goal? As I mentioned earlier, the directions on the LeanFire XT label state that you should start off with 1 capsule to assess your tolerance, which I did. I tend to be VERY sensitiveto stimulant-heavy supplements such as this, so I wanted to proceed with caution. I took the recommended dose about 1 hour before heading to the gym on a totally empty stomach, first thing in the morning. I skipped my usual 2 cups of coffee this morning, but after about 20 minutes I could feel the caffeine from the pills kicking in. About 3 hours after I took that first dose I experienced a pretty significant crash, and decided to take a short 15 min. nap and then take another capsule about an hour after my post workout meal. Once again, I could feel the effects kicking in after about 20 minutes. One thing I definitely seemed to notice was that my appetite had virtually disappeared. I was literally having to force myself to eat dinner that night, and I also noticed a bit of nausea (likely from the yohimbe). Since I didn’t feel like I was overstimulated that first day, I decided to take 2 capsules on an empty stomach the following morning. This time I REALLYseemed to feel the energy coursing through my veins. My initial plan was to just get some work done, but I had the kind of energy that made it uncomfortable to be sitting for any length of time, so I decided to hit the gym earlier that day. What followed was one of the most intense workouts I’ve had in recent memory, similar to the type of workout that I had after taking a different supplement called Xenadrine Ultimate weight loss. I continued using LeanFire Xt for a total of 2 weeks, and finally decided to weigh myself in. I started off at around 187, and ended up right around the 184 mark. Did I lose the fat around my belly? But one thing I definitely did notice was that I seemed to have lost a bit of muscle, especially in my arms and chest. Don’t get me wrong, I looked much more defined and shredded. By I could tell that I lost a bit of strength and muscle. LeanFire XT has been on the market for less than a year, so customer feedback is just not out there yet. Lots of Force Factor products are sold on Amazon.com, and have received plenty of customer reviews. But LeanFire XT is not sold on Amazon, so that source of feedback just isn’t there at this time. As we mentioned earlier, Force Factor products, including LeanFire XT, are available for purchase at GNC stores, as well as online through their store website. The 60-count bottle, which could last as long as 60 days if you stick with the one serving per day dose, sells for $69.99. If you buy it at the Force Factor website, you’ll pay a lot more – $99.99 for that same 60-count bottle. The formula uses ingredients that foster the mind/body connection. There are plenty of stimulants to provide energy, a metabolism boost, and appetite suppression. You can pick some up at your local GNC store. It can be expensive if you don’t buy it through GNC. The formula contains a heavy stimulant content, that could be problematic,especially if combined with other stimulant sources, such as coffee. There is a real lack of customer feedback available.This makes it tough to know if it’s working for real people in the real world. Not a big fan of the yohimbe, but I can’t hold it against them too much. The LeanFire XT certainly looks powerful, and the marketing seems to say all the right things, especially when it comes to smooth energy and the notion that it ups your motivation with cognitive enhancers. But with closer inspection of the ingredients within the formula, it becomes clear that LeanFire XT might go too heavy on the stimulants – to the point of discomfort for some. Caffeine, synephrine, and yohimbe are all powerful central nervous system stimulants in their own right. Yohimbe comes with warnings, as does the caffeine/synephrine combination. So to have all three in one supplement could certainly be problematic. Of course, because the formula uses proprietary blends, we don’t know how much of each ingredient is used. They do list the caffeine as 150 mg per pill. This is about as much as 1.5 to 2 cups of coffee. But we don’t know how much of the other two are used. This could be a potential cause for concern. LeanFire XT could be an effective weight loss supplement.If you choose to try it, start with one pill, and take it fairly early in the day to make sure it doesn’t interfere with your sleep. If you don’t experience nausea, a racing heartbeat, or any other negative effects, continue using it as it will probably provide a good amount of weight loss support. And be sure that you lift heavy and increase your consumption of lean protein if you want to keep the muscle gains you have, or at least limit the amount that you lose. Have You Used LeanFire XT? I've been taking LeanFire XT for the past (2) weeks and I'm pleased with the results I'm seeing. I take one capsule in the morning with water and it instantly gets me on the right track, delivering instant energy. I do not drink caffeine in the morning so LeanFire XT is all I need to get myself moving. In the past (2) weeks I've lost 7 pounds as a result of combining LeanFire XT with some light morning exercise and being more aware of what I'm eating. Nothing drastic has changed as far as my diet and exercise routines are concerned. I'm happy with the results and will continue taking LeanFire XT each morning going forward. I found LeanFire XT lasts all day. What I mean by that is that I am taking it at 6 AM and at midnight I'm eating my heart out trying to sober up / come down so I can fall asleep. I'm amazed you crashed after 3 hrs. I now dump out half or so and take them like that, but I have to be sure to eat all day, or I just get too high. First time I took a whole pill and experienced shaking hands. I tried to share with a friend because she likes to take Adderall, but it made her throw up. I've been using Lean Fire XT for the last few weeks, and have lost almost 10 pounds. The only thing I don't like is the price, hence the 4 stars.